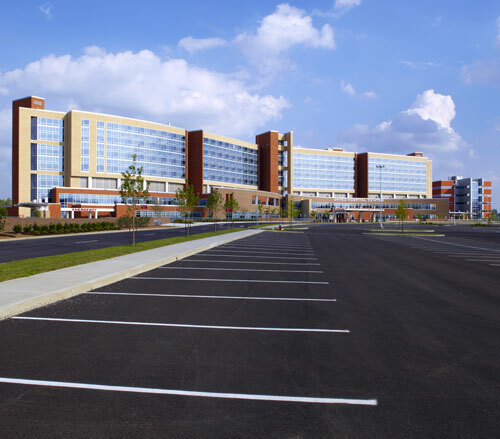 United Hospital of Clarksburg, West Virginia is a $300 Million, 130-acre campus project built from the ground up. 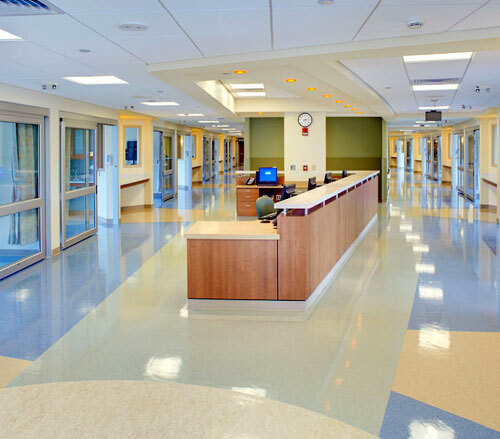 At 55% larger than the structure that it replaced, and with a design that takes into consideration the logical flow of a patient from admission to discharge. 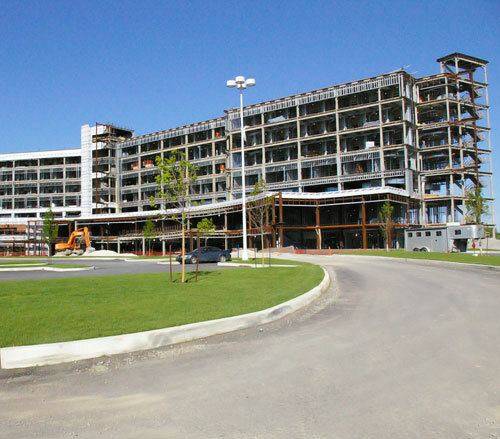 The new hospital serves the community’s needs today and well into the future. Lighthouse Electric became involved in the project years before the ground breaking, assisting in project planning by working with the design and pre-construction teams to provide cost estimates and value engineering services. Photo showing the main nurse station in the Intensive Care Unit (ICU). 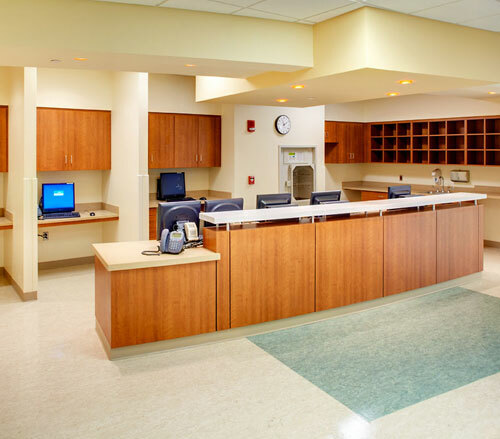 Large sliding glass doors provide access and privacy to the patient care area. 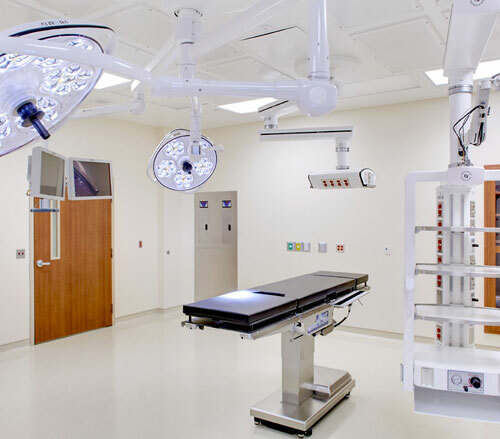 The new United Hospital is a 700,000 square foot, 10-story structure with 300 patient rooms, 12 operating rooms, 2 linear accelerator rooms, 2 trauma rooms, 1 special procedure room, 1 cath lab room, 40 pre-exam rooms, 2 MRI rooms and 4 flouro rooms. 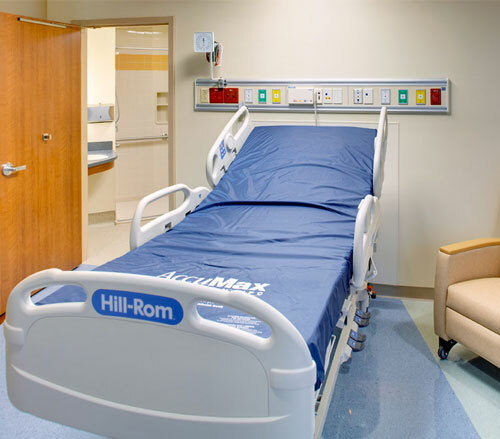 Typical patient room setup with a horizontal headwall unit that Lighthouse coordinated, purchased and installed. 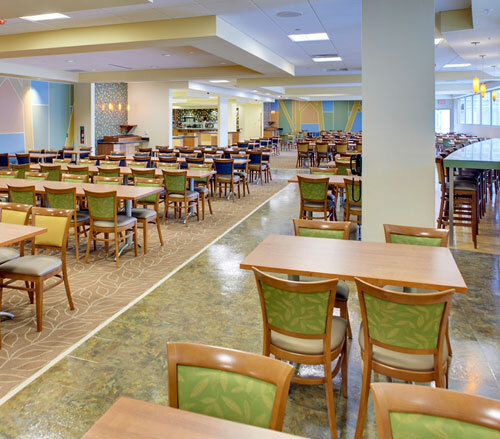 Architectural lighting was used throughout to give it a bright energetic feeling. 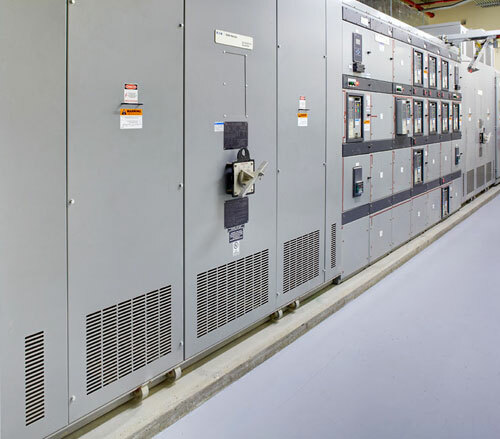 Lighthouse installed (3) 2250 kW Cummins generators with accompanying paralleling gear, (6) 3000 KVA 15kv to 480V unit substations and 380 branch sub panels. 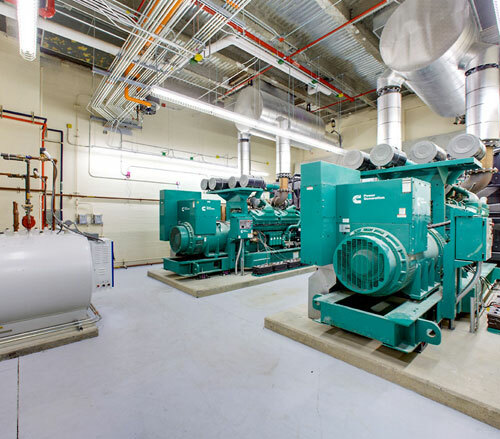 The Lighthouse designers and field supervisors coordinated and installed (48) 4" conduits that began in the basement data center, ran redundant risers up through the building and interconnected data closets on each floor. 1 of 3 6000 KVA Cutler Hammer VPI "Main-Tie-Main" line-ups. This design allowed for survivability and backup in the event of an isolated service power loss.